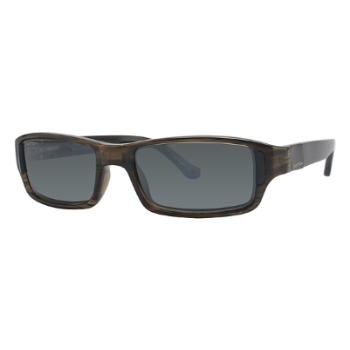 Switch Sunglasses from all around the world are offered at the online optical superstore. 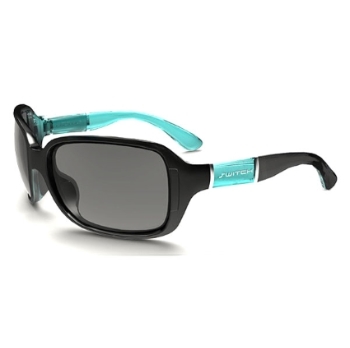 Find Most Popular, New Arrivals, Womens and more Switch Sunglasses online for sale in our vast selection of eyewear. Over thousands of styles are available to choose from. You can find the perfect pair to complement your facial features and style. Save time, money, and order frames conveniently from the touch of your mobile device or keyboard, or give us a call any time of the day for assistance. Our live eyewear experts are here to serve you. If you have seen a cheaper price on Switch Sunglasses please let us know using the Price match request form. Free shipping is available, 30 day returns and doctor verified prescription glasses are what to expect when buying your frames from the online optical superstore, since 1999. 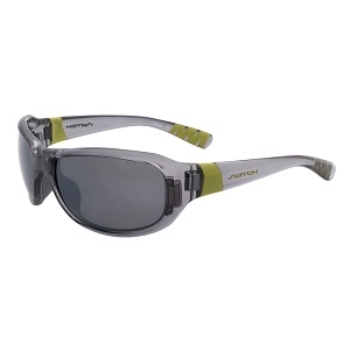 The world’s first magnetic interchange sunglass collection created for and by active outdoor athletes. For serious runners,skiers, bikers, hikers, climbers, kayakers, golfers, and tennis players as well as active weekend warriors that love them as much as we do. Each kit coming with 2 pair of Lenses. 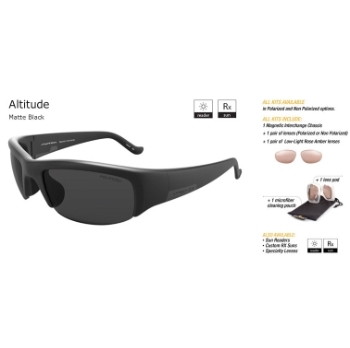 The world’s first magnetic interchange sunglass collection created for and by active outdoor athletes. For serious runners,skiers, bikers, hikers, climbers, kayakers, golfers, and tennis players as well as active weekend warriors that love them as much as we do. Each kit coming with 2 pair of Lenses. 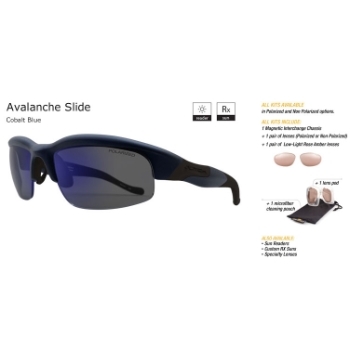 All Switch items, including Switch eyewear and Switch glasses, are authentic and brand new. *Manufacturer packaging shown for Switch may vary based on product style. Image shown is only a sample and not for all Switch products. Doctor verified and guaranteed for 90 days. Find all of your favorite designer eyeglasses and fashion brands. Browse eyeglasses brands indexed alphabetically. Some of these fine brands of discount eyeglasses include Silhouette Eyeglasses, J.F. Rey Eyeglasses, Lafont Eyeglasses, Ray-Ban Eyeglasses, Alain Mikli Eyeglasses, Nike Eyeglasses, BOZ Eyeglasses, OGI Eyewear Eyeglasses, Kazuo Kawasaki Eyeglasses, Seraphin by OGI Eyeglasses, Anglo American Eyeglasses, 4U Eyeglasses, Aristar Eyeglasses, Shuron Eyeglasses, Easyclip Eyeglasses, Porsche Design Eyeglasses, Takumi Eyeglasses, Modern Optical Eyeglasses, OGI Kids Eyeglasses, Marc Jacobs Eyeglasses, Bebe Eyeglasses, Fission Eyeglasses, Flexon Eyeglasses, J.F. Rey Kids & Teens Eyeglasses, Lafont Reedition Eyeglasses, Modo Eyeglasses, Mykita Eyeglasses, B.M.E.C. Big Mens Eyeglasses, Caravaggio Eyeglasses, Guess Eyeglasses, and many more. We offer an extensive selection to make sure you find the perfect pair of discount eyeglasses for yourself. Throughout the fine collections of designer eyeglasses we offer, including Most Popular Eyeglasses, New Arrivals Eyeglasses, Sale Eyeglasses, Womens Eyeglasses, Mens Eyeglasses, Girls Eyeglasses, Boys Eyeglasses, Plastic Eyeglasses, Metal Eyeglasses, Titanium Eyeglasses, and more, you'll be sure to find the right eyeglasses for you. We want to make sure you find the discount eyeglasses you're looking for so we're constantly on the hunt for the latest & greatest brands to add to our eyeglasses catalog. Some of the newest brands of designer eyeglasses which have been added to our catalog include Vari Eyeglasses, Si by Helium Eyeglasses, Sandro Paris Eyeglasses, Buffalo David Bitton Eyeglasses, Tura by Lara Spencer Eyeglasses, iBop Eyeglasses, Calliope Eyeglasses, Sunrise Eyeglasses, oATe Eyeglasses, Eye-Art Eyeglasses, and more brands are being added frequently, so make sure to check back shortly. Find all the latest designer eyeglasses styles and newest arrivals from your favorite designers of eyeglasses. Some eyeglasses brands which have been recently updated include 2000 and Beyond Eyeglasses, 4U Eyeglasses, Adensco Eyeglasses, Alain Mikli Eyeglasses, B.M.E.C. Big Mens Eyeglasses, Banana Republic Eyeglasses, Bebe Eyeglasses, BOZ Eyeglasses, Burberry Eyeglasses, Candies Eyeglasses, Caravaggio Eyeglasses, Chesterfield Eyeglasses, Coco Song Eyeglasses, Easyclip Eyeglasses, Flexon Eyeglasses, Fossil Eyeglasses, Gothamstyle Eyeglasses, Guess Eyeglasses, Gunnar Optiks Eyeglasses, Hilco Eyeglasses, J.F. Rey Eyeglasses, J.F. Rey Kids & Teens Eyeglasses, Kazuo Kawasaki Eyeglasses, Kliik Eyeglasses, Lafont Eyeglasses, Lafont ISSY & LA Eyeglasses, Legre Eyeglasses, Limited Editions Eyeglasses, Modern Optical Eyeglasses, Modo Eyeglasses, Mykita Eyeglasses, Nike Eyeglasses, Noego Eyeglasses, Parasite Eyeglasses, Porsche Design Eyeglasses, Prada Eyeglasses, Ray-Ban Eyeglasses, Revolution w/Magnetic Clip Ons Eyeglasses, Safilo Elasta Eyeglasses, Silhouette Eyeglasses, Smith Optics Eyeglasses, Starck Eyes Eyeglasses, Swarovski Eyeglasses, Takumi Eyeglasses, The Original Penguin Eyeglasses, Tom Ford Eyeglasses, Tommy Hilfiger Eyeglasses, Vera Wang Eyeglasses, Versace Eyeglasses, Volte Face Paris Eyeglasses, and more. 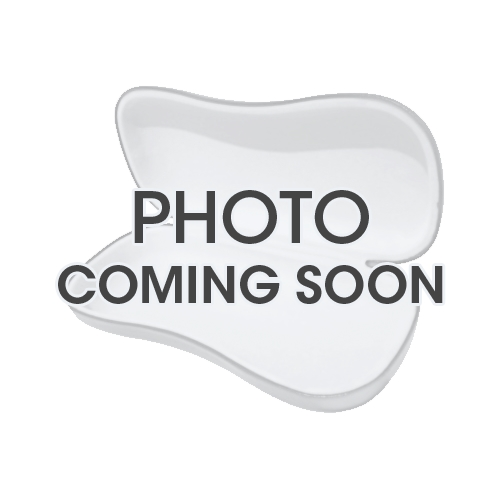 Check back often for updates to our eyeglasses catalog. 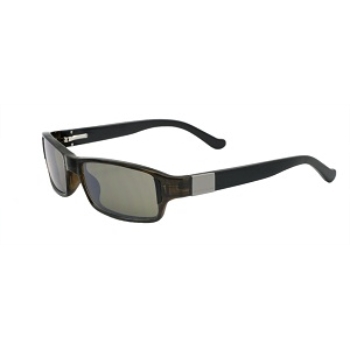 Find all of your favorite designer sunglasses and fashion brands. 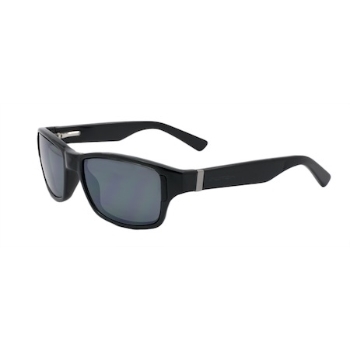 Browse sunglasses brands indexed alphabetically. 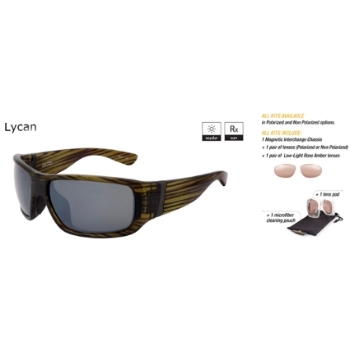 Some of these fine brands of discount sunglasses include Ray-Ban Sunglasses, Smith Optics Sunglasses, Marc Jacobs Sunglasses, Porsche Design Sunglasses, Adidas Sunglasses, Carrera Sunglasses, Nike Sunglasses, Bolle Sunglasses, Cazal Legends Sunglasses, Prada Sunglasses, Mykita Sunglasses, Spy Sunglasses, Bottega Veneta Sunglasses, Dragon Sunglasses, Tom Ford Sunglasses, Alain Mikli Sunglasses, Anglo American Sunglasses, Black Flys Sunglasses, Italia Independent Sunglasses, Lafont Sunglasses, Parasite Sunglasses, Bebe Sunglasses, DSO Eyewear Sunglasses, Fitovers Sunglasses, Persol Sunglasses, Super Sunglasses, Versace Sunglasses, Diesel Sunglasses, Jimmy Choo Sunglasses, D&G Sunglasses, and many more. 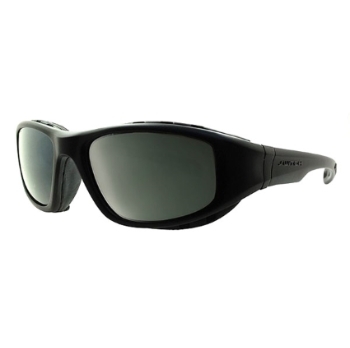 We offer an extensive selection to make sure you find the perfect pair of discount sunglasses for yourself. 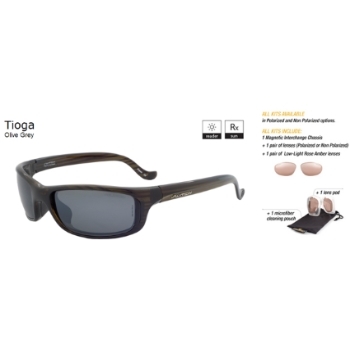 Throughout the fine collections of designer sunglasses we offer, including Most Popular Sunglasses, New Arrivals Sunglasses, Sale Sunglasses, Womens Sunglasses, Mens Sunglasses, Girls Sunglasses, Boys Sunglasses, Plastic Sunglasses, Metal Sunglasses, Titanium Sunglasses, and more, you'll be sure to find the right sunglasses for you. We want to make sure you find the discount sunglasses you're looking for so we're constantly on the hunt for the latest & greatest brands to add to our sunglasses catalog. Some of the newest brands of designer sunglasses which have been added to our catalog include Adrienne Vittadini Studio Sunglasses, Sandro Paris Sunglasses, Buffalo David Bitton Sunglasses, Tura by Lara Spencer Sunglasses, Awear Sunglasses, Azzedine Alaia Sunglasses, Versace 19-69 Sunglasses, Pier Martino Sunglasses, Dandys Sunglasses, Arche Sunglasses, and more brands are being added frequently, so make sure to check back shortly. 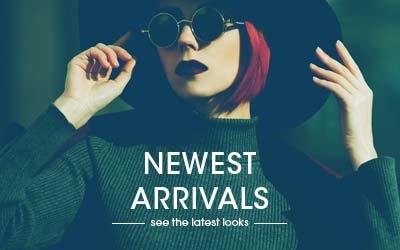 Find all the latest designer sunglasses styles and newest arrivals from your favorite designers of sunglasses. 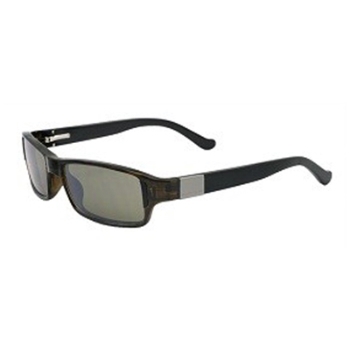 Some sunglasses brands which have been recently updated include Adidas Sunglasses, Alain Mikli Sunglasses, Alexander McQueen Sunglasses, Armani Exchange Sunglasses, Balenciaga Sunglasses, Bebe Sunglasses, Black Flys Sunglasses, Bolle Sunglasses, Bottega Veneta Sunglasses, BOZ Sunglasses, Burberry Sunglasses, Carrera Sunglasses, Cazal Legends Sunglasses, Chopard Sunglasses, Dolce & Gabbana Sunglasses, Dragon Sunglasses, Emporio Armani Sunglasses, Guess Sunglasses, Hobie Polarized Sunglasses, Italia Independent Sunglasses, J.F. Rey Sunglasses, Jimmy Choo Sunglasses, Kaenon Sunglasses, Kazuo Kawasaki Sunglasses, Lacoste Sunglasses, Lafont Sunglasses, Michael Kors Sunglasses, Mykita Sunglasses, Nike Sunglasses, Op-Ocean Pacific Sunglasses, Parasite Sunglasses, Persol Sunglasses, Police Sunglasses, Porsche Design Sunglasses, Prada Sunglasses, Prada Sport Sunglasses, Proof Sunglasses, Ralph by Ralph Lauren Sunglasses, Ray-Ban Sunglasses, Salvatore Ferragamo Sunglasses, Serengeti Sunglasses, Smith Optics Sunglasses, Spy Sunglasses, Swarovski Sunglasses, Tom Ford Sunglasses, Tommy Hilfiger Sunglasses, Tory Burch Sunglasses, Tres Noir Sunglasses, Vera Wang Sunglasses, Wiley X Sunglasses, and more. 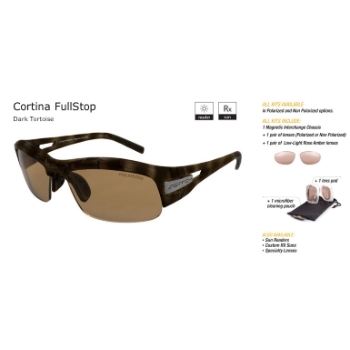 Check back often for updates to our sunglasses catalog. Find all of your favorite designer eyewear and fashion brands. Browse eyewear brands indexed alphabetically. 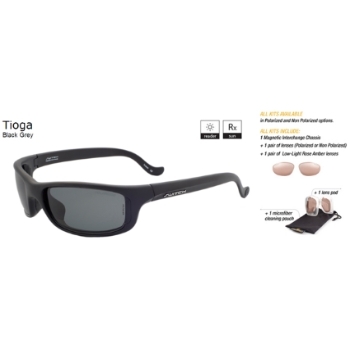 Some of these fine brands of discount eyewear include Ray-Ban Eyewear, Silhouette Eyewear, J.F. Rey Eyewear, Lafont Eyewear, Nike Eyewear, Alain Mikli Eyewear, Porsche Design Eyewear, OGI Eyewear Eyewear, Smith Optics Eyewear, Marc Jacobs Eyewear, Anglo American Eyewear, BOZ Eyewear, Kazuo Kawasaki Eyewear, Seraphin by OGI Eyewear, Mykita Eyewear, Bebe Eyewear, Shuron Eyewear, Prada Eyewear, Tom Ford Eyewear, 4U Eyewear, Aristar Eyewear, Carrera Eyewear, Easyclip Eyewear, Versace Eyewear, Spy Eyewear, Takumi Eyewear, Cazal Legends Eyewear, Guess Eyewear, Parasite Eyewear, Vera Wang Eyewear, and many more. 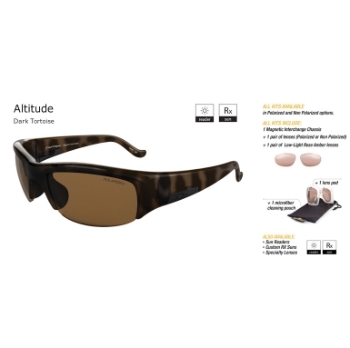 We offer an extensive selection to make sure you find the perfect pair of discount eyewear for yourself. Throughout the fine collections of designer eyewear we offer, including Most Popular Eyewear, Womens Eyewear, Mens Eyewear, Plastic Eyewear, Metal Eyewear, Girls Eyewear, Boys Eyewear, Titanium Eyewear, Sale Eyewear, and more, you'll be sure to find the right eyewear for you. We want to make sure you find the discount eyewear you're looking for so we're constantly on the hunt for the latest & greatest brands to add to our eyewear catalog. Some of the newest brands of designer eyewear which have been added to our catalog include Vari Eyewear, Si by Helium Eyewear, Adrienne Vittadini Studio Eyewear, Sandro Paris Eyewear, Buffalo David Bitton Eyewear, Tura by Lara Spencer Eyewear, iBop Eyewear, Calliope Eyewear, Sunrise Eyewear, oATe Eyewear, and more brands are being added frequently, so make sure to check back shortly. 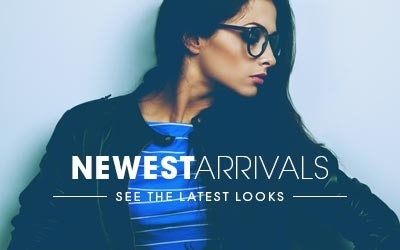 Find all the latest designer eyewear styles and newest arrivals from your favorite designers of eyewear. 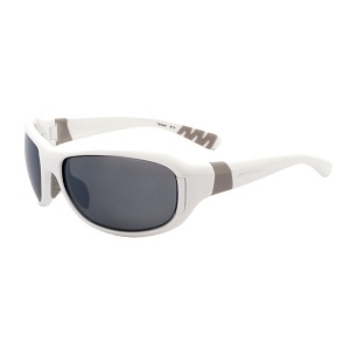 Some eyewear brands which have been recently updated include 4U Eyewear, Adidas Eyewear, Alain Mikli Eyewear, B.M.E.C. Big Mens Eyewear, Banana Republic Eyewear, Bebe Eyewear, Black Flys Eyewear, Bolle Eyewear, Bottega Veneta Eyewear, BOZ Eyewear, Burberry Eyewear, Candies Eyewear, Caravaggio Eyewear, Carrera Eyewear, Cazal Legends Eyewear, Chesterfield Eyewear, Diesel Eyewear, Dragon Eyewear, Easyclip Eyewear, Flexon Eyewear, Guess Eyewear, Hilco Eyewear, Italia Independent Eyewear, J.F. Rey Eyewear, J.F. Rey Kids & Teens Eyewear, Jimmy Choo Eyewear, Kazuo Kawasaki Eyewear, Lafont Eyewear, Legre Eyewear, Modern Optical Eyewear, Modo Eyewear, Mykita Eyewear, Nike Eyewear, Parasite Eyewear, Persol Eyewear, Porsche Design Eyewear, Prada Eyewear, Ray-Ban Eyewear, Revolution w/Magnetic Clip Ons Eyewear, Safilo Elasta Eyewear, Silhouette Eyewear, Skechers Eyewear, Smith Optics Eyewear, Spy Eyewear, Swarovski Eyewear, Takumi Eyewear, Tom Ford Eyewear, Tommy Hilfiger Eyewear, Vera Wang Eyewear, Versace Eyewear, and more. 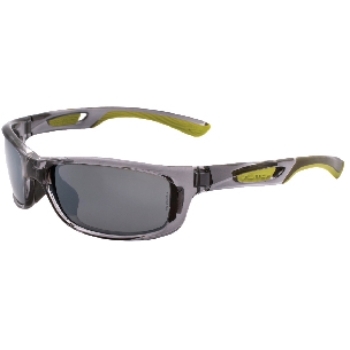 Check back often for updates to our eyewear catalog. Find all of your favorite designer glasses and fashion brands. Browse glasses brands indexed alphabetically. 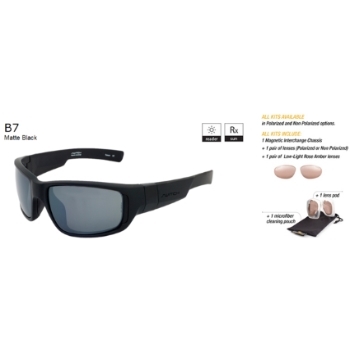 Some of these fine brands of discount glasses include Ray-Ban Glasses, Silhouette Glasses, J.F. Rey Glasses, Lafont Glasses, Nike Glasses, Alain Mikli Glasses, Porsche Design Glasses, OGI Eyewear Glasses, Smith Optics Glasses, Marc Jacobs Glasses, Anglo American Glasses, BOZ Glasses, Kazuo Kawasaki Glasses, Seraphin by OGI Glasses, Mykita Glasses, Bebe Glasses, Shuron Glasses, Prada Glasses, Tom Ford Glasses, 4U Glasses, Aristar Glasses, Carrera Glasses, Easyclip Glasses, Versace Glasses, Spy Glasses, Takumi Glasses, Cazal Legends Glasses, Guess Glasses, Parasite Glasses, Vera Wang Glasses, and many more. We offer an extensive selection to make sure you find the perfect pair of discount glasses for yourself. Throughout the fine collections of designer glasses we offer, including Most Popular Glasses, Womens Glasses, Mens Glasses, Plastic Glasses, Metal Glasses, Girls Glasses, Boys Glasses, Titanium Glasses, Sale Glasses, and more, you'll be sure to find the right glasses for you. We want to make sure you find the discount glasses you're looking for so we're constantly on the hunt for the latest & greatest brands to add to our glasses catalog. Some of the newest brands of designer glasses which have been added to our catalog include Vari Glasses, Si by Helium Glasses, Adrienne Vittadini Studio Glasses, Sandro Paris Glasses, Buffalo David Bitton Glasses, Tura by Lara Spencer Glasses, iBop Glasses, Calliope Glasses, Sunrise Glasses, oATe Glasses, and more brands are being added frequently, so make sure to check back shortly. Find all the latest designer glasses styles and newest arrivals from your favorite designers of glasses. Some glasses brands which have been recently updated include 4U Glasses, Adidas Glasses, Alain Mikli Glasses, B.M.E.C. Big Mens Glasses, Banana Republic Glasses, Bebe Glasses, Black Flys Glasses, Bolle Glasses, Bottega Veneta Glasses, BOZ Glasses, Burberry Glasses, Candies Glasses, Caravaggio Glasses, Carrera Glasses, Cazal Legends Glasses, Chesterfield Glasses, Diesel Glasses, Dragon Glasses, Easyclip Glasses, Flexon Glasses, Guess Glasses, Hilco Glasses, Italia Independent Glasses, J.F. Rey Glasses, J.F. Rey Kids & Teens Glasses, Jimmy Choo Glasses, Kazuo Kawasaki Glasses, Lafont Glasses, Legre Glasses, Modern Optical Glasses, Modo Glasses, Mykita Glasses, Nike Glasses, Parasite Glasses, Persol Glasses, Porsche Design Glasses, Prada Glasses, Ray-Ban Glasses, Revolution w/Magnetic Clip Ons Glasses, Safilo Elasta Glasses, Silhouette Glasses, Skechers Glasses, Smith Optics Glasses, Spy Glasses, Swarovski Glasses, Takumi Glasses, Tom Ford Glasses, Tommy Hilfiger Glasses, Vera Wang Glasses, Versace Glasses, and more. Check back often for updates to our glasses catalog.